Contact Us Now For A Free Marketing Analysis! 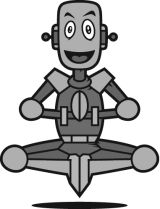 At Happy Robot, our goal is to help your business achieve new levels of growth by implementing cutting-edge marketing strategies. From Web Design to SEO, we can help you grow! Drop us a line, we'd love to hear from you! ©2016 Happy Robot Agency. All Rights Reserved. Powered by WordPress.